The Port of London Authority (PLA), as a Statutory Harbour Authority, has a primary responsibility to facilitate the safety of navigation and associated marine operations on the tidal Thames. 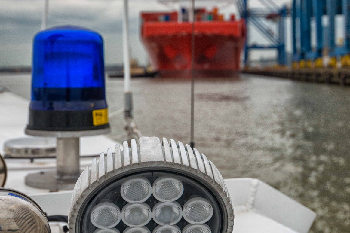 Our Marine Safety Management System (SMS) is the main tool we use to manage navigation and to identify the risks on the river, the steps needed to eliminate or keep them to a minimum and ensure that the risks are regularly reviewed and adapted as circumstance, changing trades and experience dictate. Navigational Risk Assessment Working Groups consist of practising mariners with knowledge and experience relevant to the hazard, risk control measure or new circumstance which such a panel is convened to consider. An Integral part of the Port's marine Safety Management system involves the investigation of all navigational incidents that are reported to the Harbour Master. There are River User Consultative Forums (RUCFs) - for the Upper and Lower areas. The Port Marine Safety Code requires that all ports must base their management of marine operations on a formal assessment of the hazards and risks to navigation within the port.